Celebrate your accomplishments with unique keepsakes. 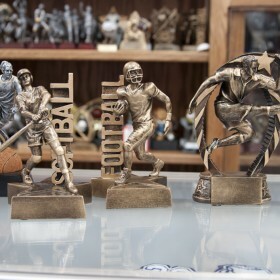 We can engrave a variety of trophies, plaques, metal and resin products to suit your individual needs. 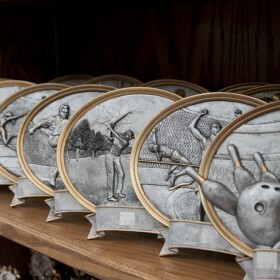 Whether it’s for sports, a special occasion, a ribbon cutting or to celebrate your accomplishments with unique keepsakes. Choose from thousands of items, which can be customized in-store to your specifications. 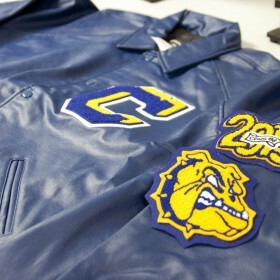 When it’s for your student to decorate that well earned Lettermen jacket, we provide expert, fast and competitive service. No matter which school they attend.